BBC Prime was the BBC’s general entertainment TV channel in Europe and the Middle East from 30 January 1995 until 11 November 2009, when it was replaced by BBC Entertainment. Monday, 16 January 1995 at 19:00 GMT: 24-hour 24-hour English free-to-air terrestrial international news channel such: news bulletin, information, business and financial, news magazine and current affairs programmes led of “BBC World” (now BBC World News). Monday, 30 January 1995 at 19:00 GMT: 24-hour English cable lifestyle, variety and entertainment channel such: variety, culture, leisure, lifestyle, art and light entertainment programmes led of “BBC Prime” (later BBC Entertainment). In September 2006 it was announced that the BBC Prime brand was to be phased out and replaced by BBC Entertainment, one of a number of new international channels planned by BBC Worldwide. The process began with the Asian services, which switched on the 6 October 2006, followed by the South African service on the 1 October 2008. BBC Prime was completely replaced by BBC Entertainment on 11 November 2009. The channel broadcast drama, comedy and lifestyle programmes which it repeated on a monthly basis. Once, it allocated six hours per day for educational programmes from BBC Learning (shown in the European small hours); this practice was abandoned in August 2006 “with the intention of improving the relevance and appeal of the channel to the widest audience”. 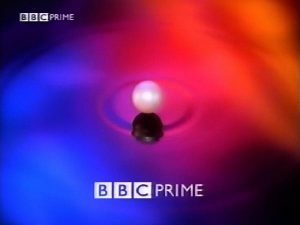 It also included a special children’s strand, using the CBBC brand and idents, by the name of CBBC on BBC Prime, or CBBC Prime. When it first launched, BBC Prime also carried programming from the former ITV company Thames Television, as BBC Worldwide had a joint venture, known as European Channel Management, with Thames’s parent company, Pearson. This venture was later dissolved, and programmes like The Bill were no longer carried. Owing to rights issues, much of the programming on BBC Prime was from the Corporation’s archive. 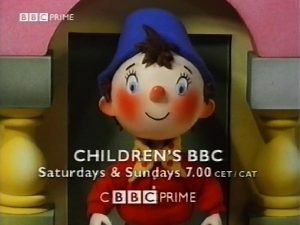 The channel’s emphasis on archive programming caused considerable annoyance to many British expatriate viewers, who had much preferred the mix of BBC One and Two previously offered by BBC TV Europe and BBC World Service Television. However, the BBC has defended the inclusion of older programmes in the schedule, on the grounds that “for the majority of our viewers, this is the first chance to see these programmes, and often the only way to view them”. Consequently, many people in mainland Europe bought viewing cards to receive full broadcasts of BBC One and Two from the UK, when they became available on satellite in 1998. 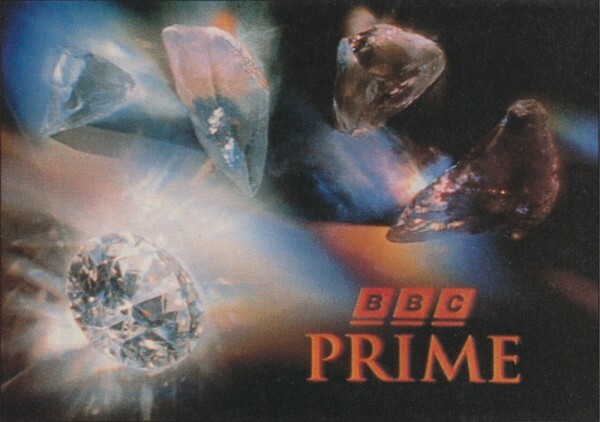 This prompted GBC in Gibraltar to end terrestrial retransmission of BBC Prime in 1999. Even after the BBC switched to broadcasting unencrypted on a satellite with a much weaker signal, many people in Spain and elsewhere could still receive these signals, particularly those who already had large satellite dishes. The main BBC Prime feed in Europe was broadcast on Hotbird at 13° East. In the Netherlands and Belgium, the channel was available on cable, alongside BBC One, BBC Two and BBC World News. In Denmark, Norway and Sweden the channel was widely available on cable and on satellite. It was available on digital terrestrial television (DTT) in the Netherlands and Malta. In Turkey, it was available on Türksat Cable TV and Digiturk. In Italy, it was available on SKY Italia. The South Africa service was launched in 1999 and contained some different programmes to that broadcast in Europe, due to some programmes already being licensed to other channels. The Asia service was launched on the 1 December 2004 and had a different schedule to that of the Europe service to reflect the different time zones and cultural practices. It was available in Hong Kong (on Now TV’s Channel 529), Thailand (on TrueVisions’ (Channel 35), Singapore (on StarHub TV’s Channel 76) and South Korea (on Skylife’s Channel 334). In order to cater to a wider audience, who do not have English their first language, BBC Prime carried subtitles in Swedish, Danish, Norwegian, Czech, Polish, Romanian, Hungarian, Italian, Hebrew and Serbian. The Asian service also had subtitles in Chinese, Thai, and Korean. A similar channel, called BBC Japan, launched in Japan on 1 December 2004, though ceased broadcasting on 30 April 2006 owing to problems with its local distributor.